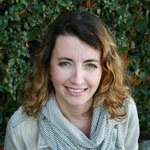 Aisha Formanski is back with a brand new fun class! 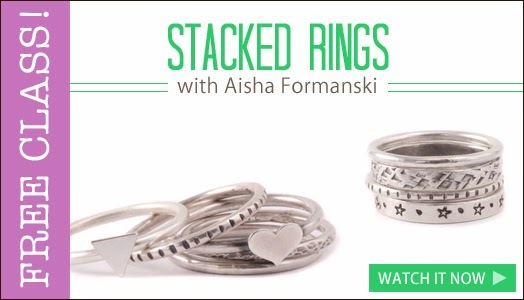 In her FREE online class, Stacked Rings, Aisha teaches you how to make your own unique rings by cutting, shaping, texturing and soldering rings that will fit perfectly. This class is great for the beginning solder student as well as those seasoned soldering folks who are looking for a way to add dimension and texture to their designs. Personally, I think this is one of our best classes yet. Aisha gives so much cool info and introduces you to some time saving tools, like the Miter Jig. Why didn't I use this tool sooner? It's so great and solves so many problems! My favorite ring is the one with the tiny classic heart soldered to it. In fact, my mom's birthday is in a week, and she will be getting a ring with a "B" stamped on that cute lil' heart. She is going to love it! What will you make?